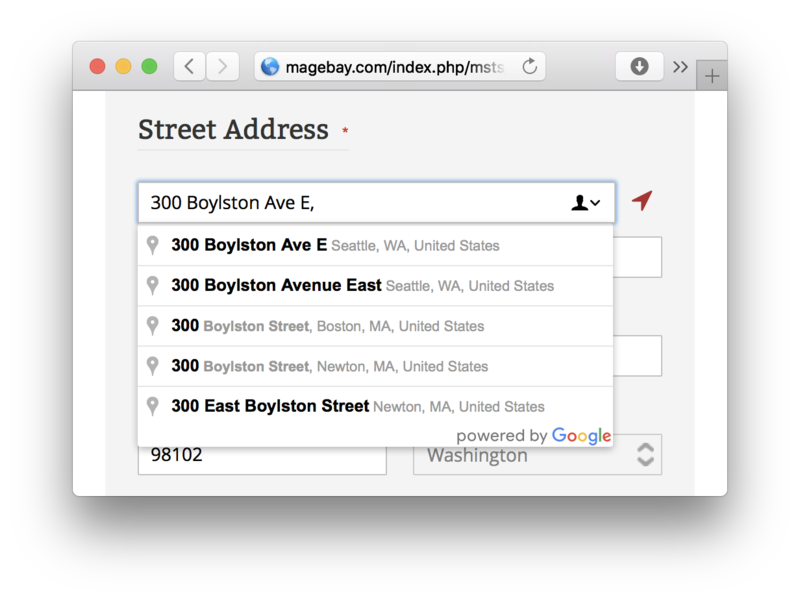 We are using the one-page checkout extension for this Magebay Store. For any demo sandbox mode with backend access information. Just contact our live support guys or email, we will send you back with instruction guide. Problem with Magento default checkout? 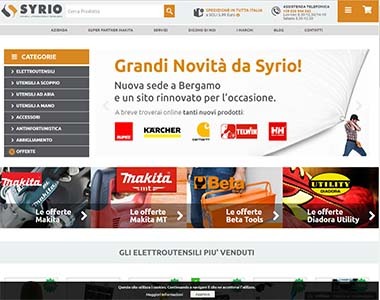 Shopping cart abandonment is one of the biggest sources of loss for online retailers today. 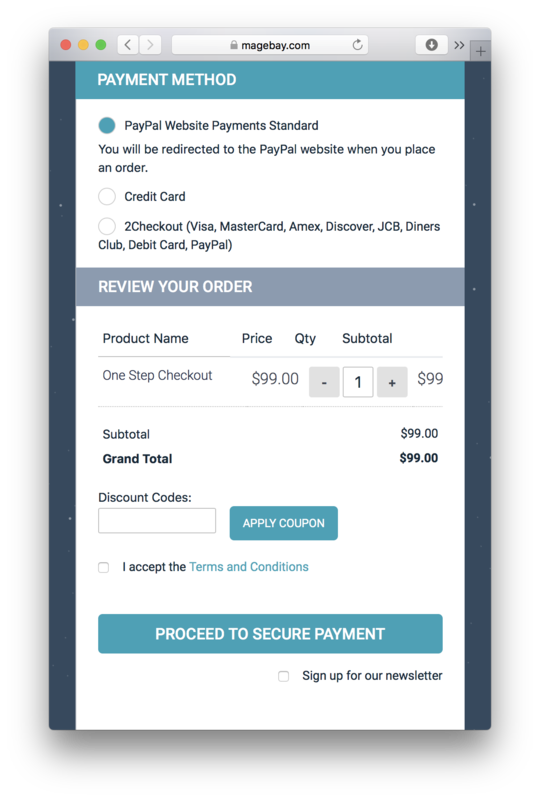 The primary culprit for shopping cart abandonment is the checkout process. 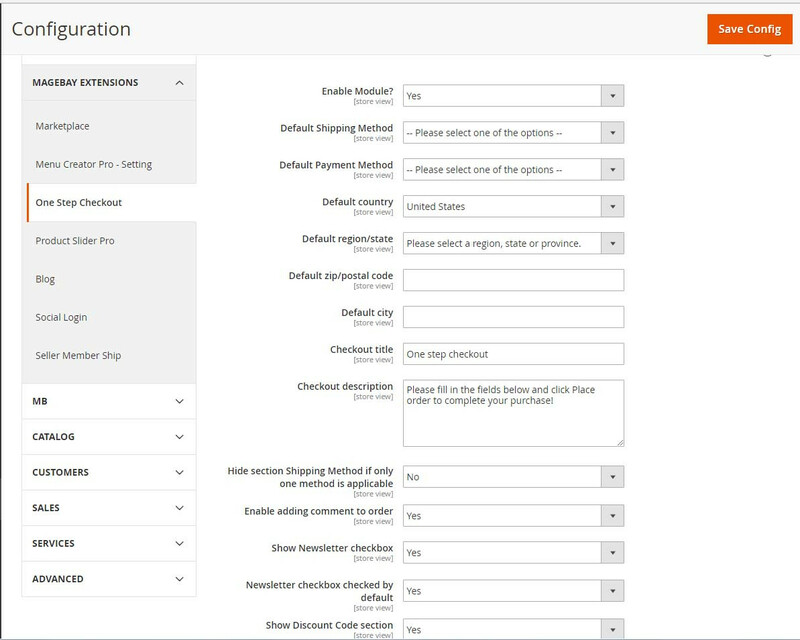 Magento has 6 steps in checkout process, it is really a big problem. If you could improve your checkout process, you can improve your sales by a huge margin. Already have solution, why is this one better? Free technical support by the Magebay Team. 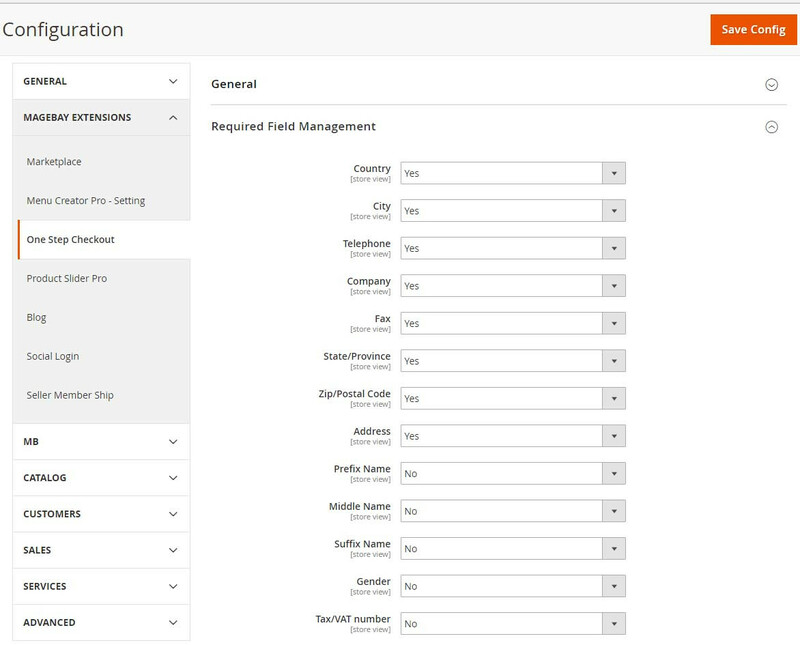 There is no more need to wait for the full page reload each time customers insert data in a particular section. 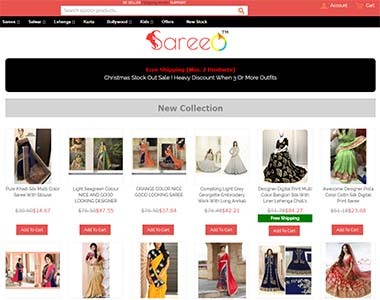 Now you can make the shopping process as easy as it can be and immensely increase your conversions rate. Frequent cause of cart abandonment & purchase refusal. Reduce cases to the minimum with fast and easy checkout. 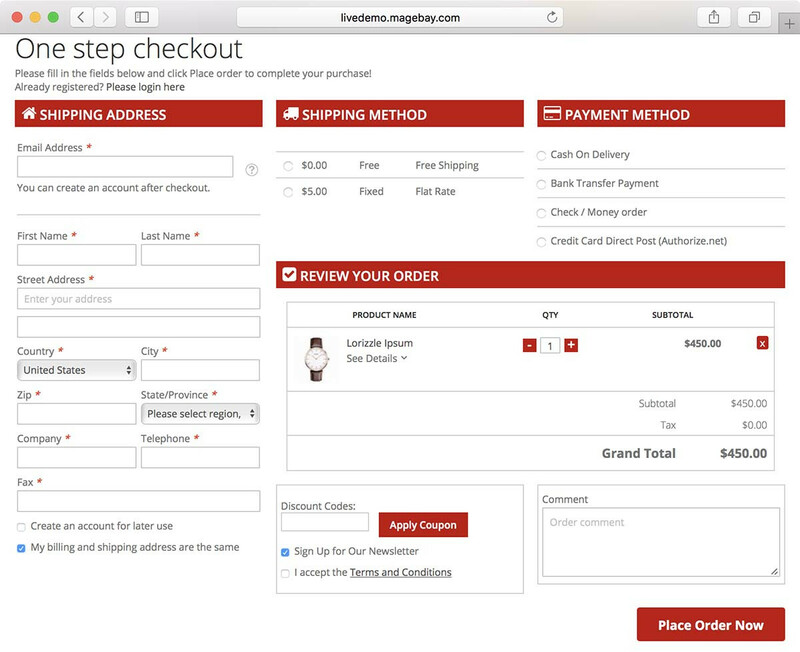 Your customers will see all checkout steps on 1 page and they won't have any doubts. 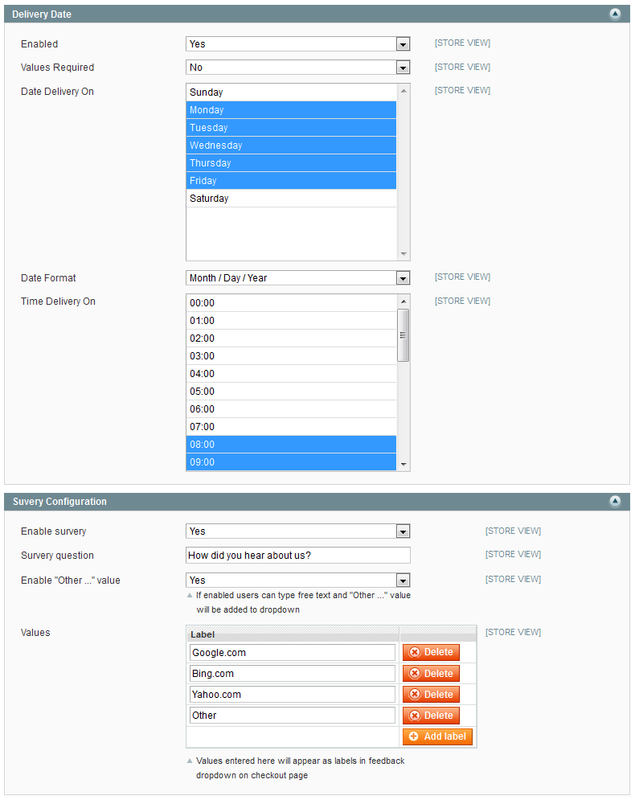 Add quick survey on One step checkout page. 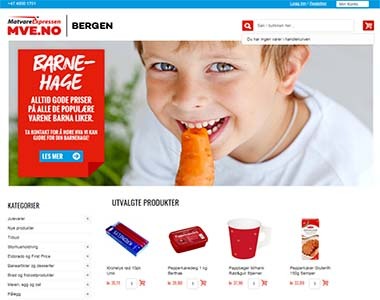 Customer can remove products, edit quantity of product on the Checkout page. Customer can leave a comment for the order. Support almost popular payment methods: Paypal, Paypal pro, Moneybookers, Sagepay, Check and Credit card, 3D Secure Authorize.net, 2Checkout, Icepay and More than 30 other checkout methods. Auto fill address by geo locator. 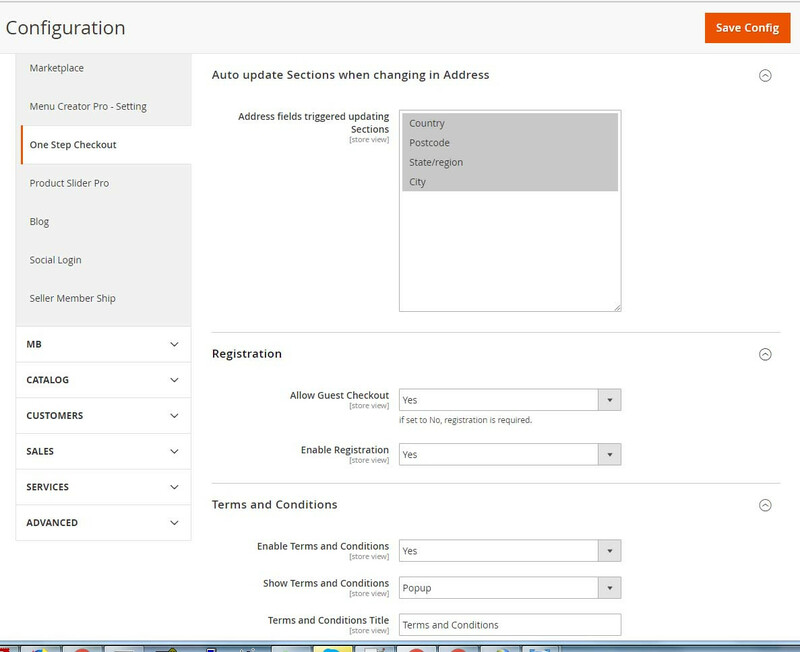 Auto fill address by email. Auto fill address by phone number. Add more product qty or remove un-like product. Allows customer to checkout as guest. Quick login form for registered customer. Quick sign-up form for creating new account. 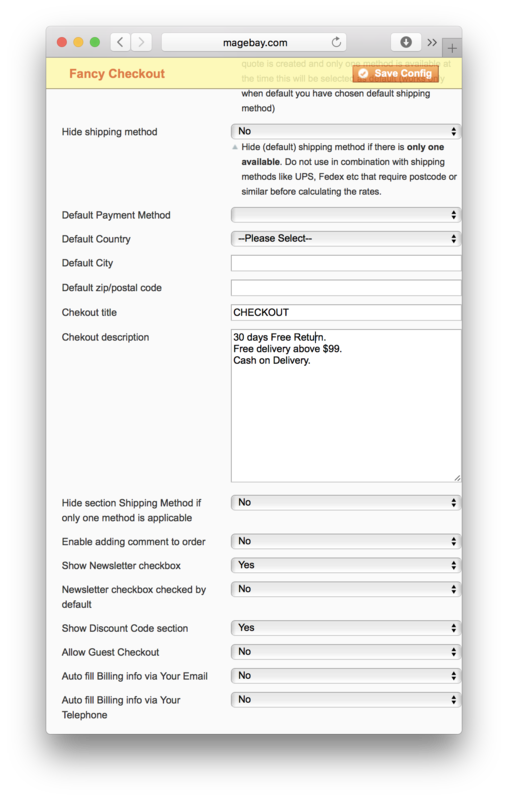 Showing checkout information for return/free shipping/payment methods. Set required any checkout fields. What included in purchased package? 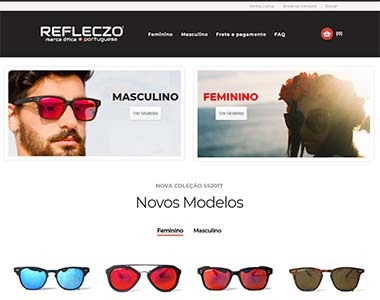 Module source code(Magento 1 & 2). Step by step configuration and user manual guide. A valid license key for activating domain license setup. The most difficult part of online shopping is the checkout. On many sites it is so cumbersome that t.. The most difficult part of online shopping is the checkout. 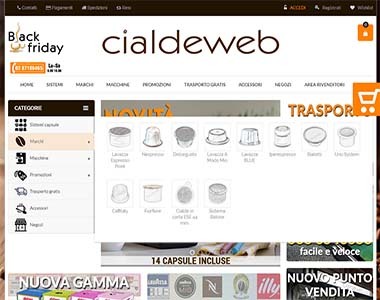 On many sites it is so cumbersome that the customers lose interest in buying from that site. But now this one-page checkout is really awesome. It is not only mobile friendly, but also has simplified settings too. This makes your work easy to do. 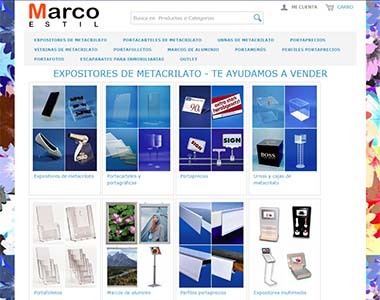 When the site is easy to use, many people will prefer to use this site. Also, it supports all kinds of payment methods so there is no group of customers that cannot use this site. Also, if there are any glitches there is full technical support from the makers. This helps a lot. An excellent product that prevents shopping cart abandonment, due to problematic checkout process. T..
An excellent product that prevents shopping cart abandonment, due to problematic checkout process. 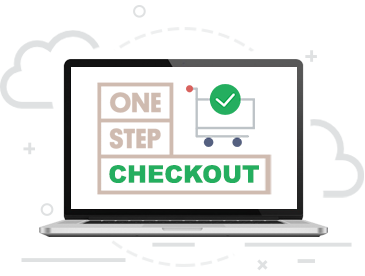 The One Page Checkout offers faster checkout option without the requirement of full page reload, thereby increasing conversion rates. The product offers a huge range of payment methods to make the buying process easier for the customer. 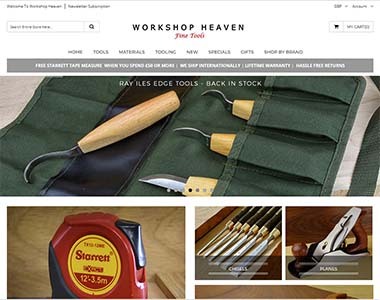 Accessible across all devices, the product allows providing customers with additional messages and gifts on the checkout page. In case you forget to add an item, the checkout page even allows editing of the cart. Enables customer to make changes and subscribe to newsletters. 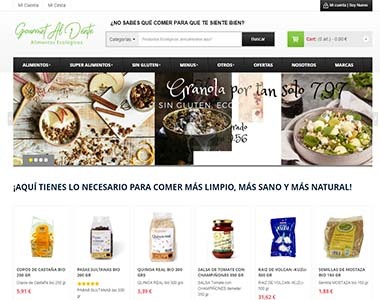 Offers source code of both Magento 1 and 2. 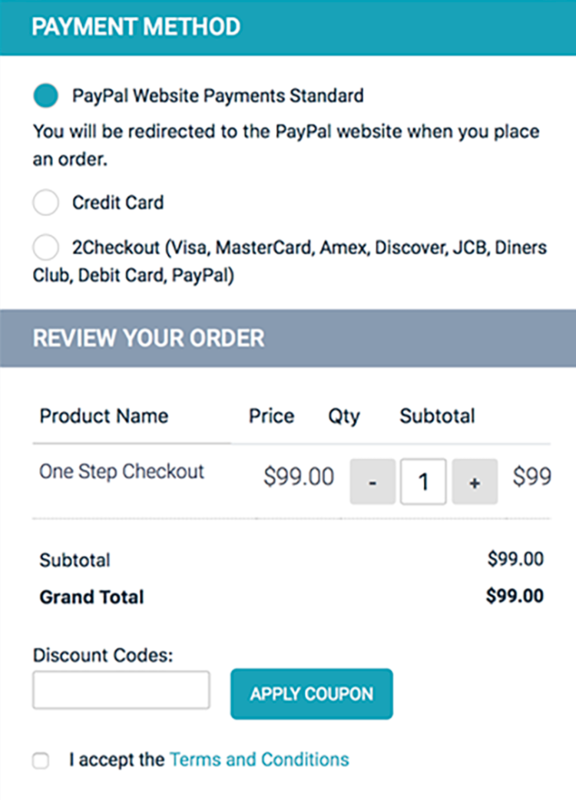 I think Magebay’s one page checkout extension for Magento users is one of the best checkout extens.. 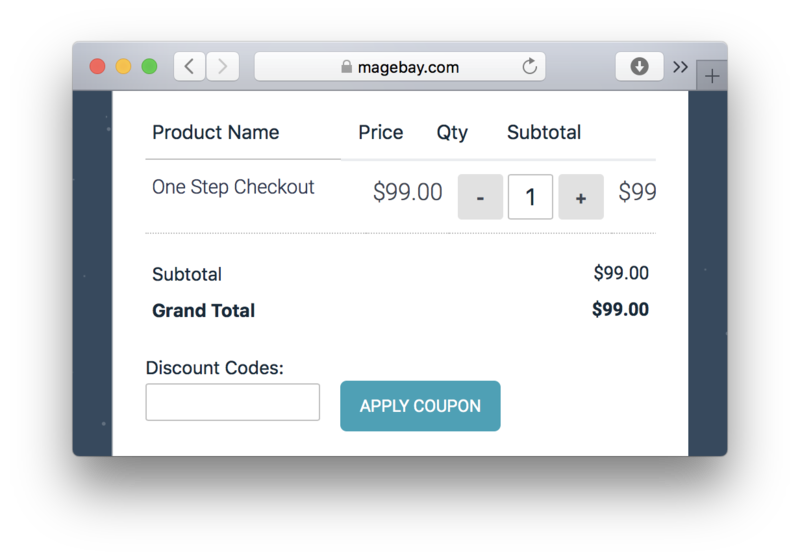 I think Magebay’s one page checkout extension for Magento users is one of the best checkout extensions out there. Not only is it affordable for small and medium sized businesses, it is rich in features too. 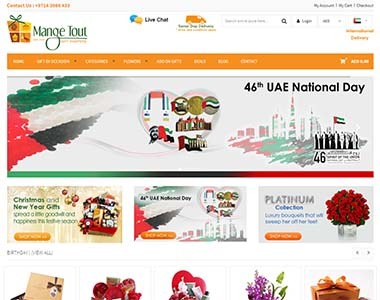 Mobile friendly, address auto filling, guest checkout and many more such features are included in the extension. 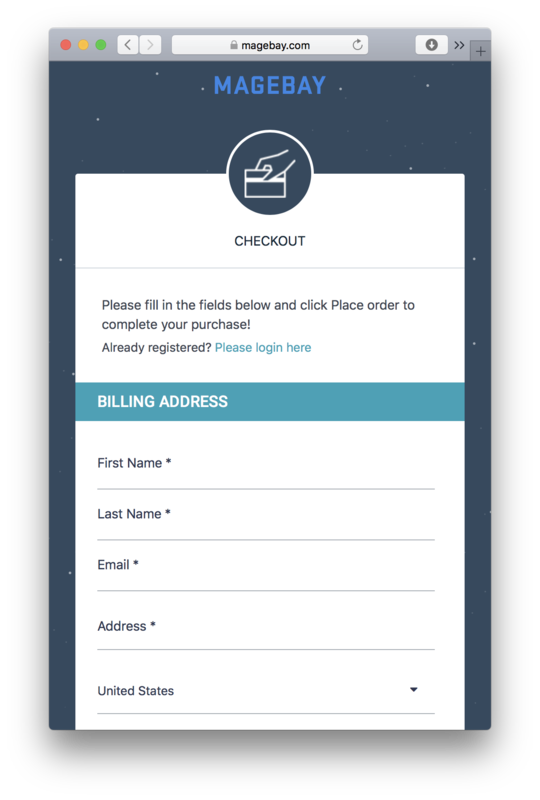 Such features help make customer checkout procedure simpler. This in turn increases customer conversions. 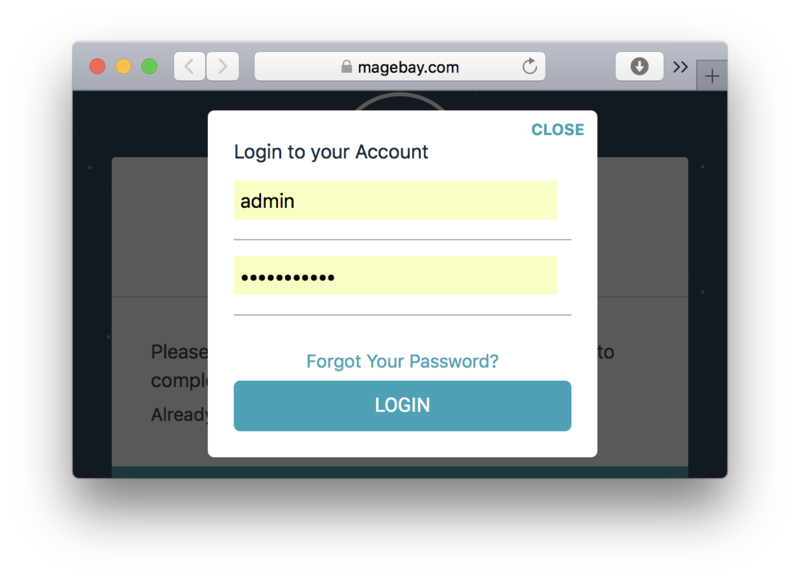 The Magebay team is helpful and responsive. I am not surprised that it has acquired so many customers in such a short time span. 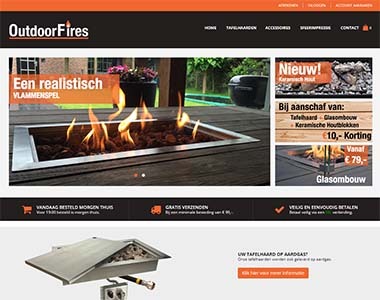 Their product is definitely value for money for any business running on Magento. Made checkout easier for my customers. Once we realized that most of our customers were abandoning the shopping cart because of the tedious..
Once we realized that most of our customers were abandoning the shopping cart because of the tedious checkout procedure, we knew it was time to innovate. 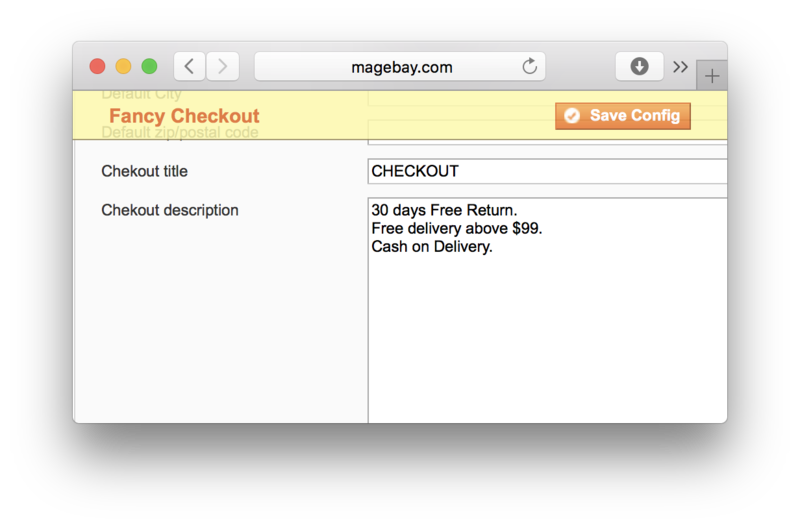 After much market research, we found the Magebay one page checkout extension to be the most user friendly and cost effective Magento checkout extension. 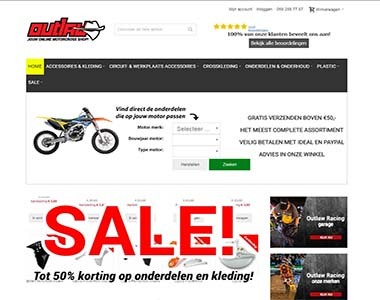 With features like auto filling of address the checkout time was greatly reduced. This decreased the cart abandonment and helped increase our revenues. I would definitely recommend others to use it. It is the smart way to increase sales. Apart from that, the customers also experience a better and satisfying shopping experience.